The start point for the Linux phenomena can be set in 1991, when the Finnish student Linus Torvalds was carried away by completing the operating system Minix. We won't go deep in the history of the operating system. The operating system grew wider, ever more programmers joint the developer's team. Journalists found it a very interesting topic to discuss, as well as open software. By the mid 90th analysts kept an eye on this OS, they started treating it seriously. 1997 became a milestone (the number of Linux copies sold grew three times during1997 - 1998), it seemed that Linux was about to press Windows in every aspect and users would switch to Linux in masses. Well, the OS occupied a decent place on the North market, however it wasn't destined to win the place on desktop PC hard disks. If we talk about the PDA market, Linux hadn't won positions even close to PC market (the market share of Linux doesn't exceed 1% on the PDA market). This state of things won't get changed in near future, everybody understands that the PDA market is smoothly flowing to the segment of communicators and smartphones, quarter sales are best evidence. Are there any prospects in the new segment (communicators/smartphones)? Rather yes, than no. Main vendors closely examine this OS trying to understand the prospects. Let's look into the facts. The future version of Palm OS will be in fact the shell (GUI) for Linux. The leader on the cell phone market Nokia had been "caught" supporting several Open Source projects (Scratchbox, for example) and recently it announced its Linux tablet PC Nokia 770. Motorola releases Linux smartphones for the Asian market; however they rarely get outside this region. On the other side, Motorola cancelled the project of JUIX (Java + Linux) operating system, which should have become basic for the phones from 2006. Other manufacturers also have a close look at Linux, but they are too careful and they don't make any loud announcements. Meanwhile the market situation is ruled by the derivatives of Symbian and Windows CE (derivatives mean shells, Nokia Series 60 and Windows Mobile are the key ones). Philips unveiled some products based on Linux. But let's return to the yet alive PDA market; who makes Linux PDAs? 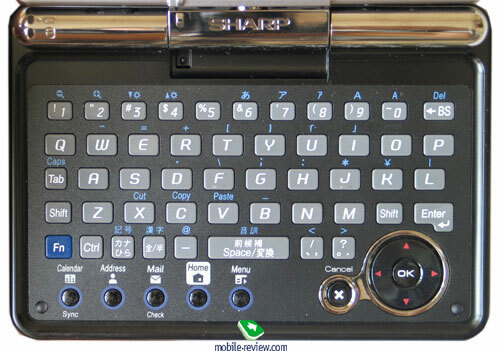 In fact, the only maker of Linux PDAs is the Japanese company Sharp. We can also remember a media combine Archos, Linux ports on HP iPaq PDA. The latter variant is for those who like it, the PDA isn't a desktop PC: it's impossible to simply replace the operating system. In theory it's not difficult - there should be an order from the contractor (Palm, HP and others). The real manufacturer doesn't care what to install to the hardware; Windows Mobile, Palm OS or Linux - there are no hardware limitations. But you should understand there won't be such order. In practice the replacement of OS on PDA can't be implemented in most cases. Should there be Windows Mobile or Palm OS installed, you couldn't replace it with the other, there are no required tools and drivers. In total, the only real maker of Linux PDAs turns is Sharp. But alas, these devices are sold only in Japan, and there are no official shipments of them outside the country. Virtually the company is a monopolist on the local market. Only several models were for the official export, but they failed outside Japan. Nevertheless the world demand takes place, that's why they are shipped by various distributors with limited warranty (i.e. to be repaired in Japan). On the one side, these shipments are grey, on the other side - what is left to do when Sharp doesn't mean to sell devices outside the country irrespective of the existing demand. Today we speak about the latest new product by Sharp - the Zaurus C3100. Before we pass to the models, I'd like to destroy some popular wrong believes on the pocket version of Linux. The myth number one - about "full value Linux". Very often potential buyers think that Linux for PDA provides the same opportunities as desktop analogs, almost compatible with them. That's not true. Yes, the Linux kernel is used, but the shell is different - Qtopia, which is incompatible with X Windows, for example. The user works with the interface, on which depends the compatibility with the applications. Thus, you shouldn't hope that Linux on PDA from the box provides the access to plenty of applications for desktop analog. At best it's relatively simple to transfer console programs. It's not a tragedy, a similar situation is with desktop and pocket Windows versions. However you should bear in mind the fact when you buy a Linux PDA. Here is one "no", we talk about it in the part devoted to software matters, we'll review ROM updates in addition to the base one. The myth number two - about difficulties with Linux. Many refuse Linux on desktop PC because of seeming installation problems, the problem of drivers, difficult implementation and problems with software installation. As a matter of fact, it isn't less difficult to adapt to pocket Linux as to any other OS for handhelds. There aren't any fine tunings and installation problems (as the system is already preinstalled), the programs are simply installed by launching a file with the definite resolution. That is, Linux PDAs (say Linux, mean Qtopia) are designed rather not for experts and preachers of Linux, but for final users. We can keep on discussing minor role of Linux on the PDA market, a 1% market share, however we can't deny that Sharp was the pioneer in many aspects. The solutions applied in its Zaurus line emerged for the first time in its models and some time after appeared in rival products. Let's see how Sharp's line-up got developed, which new things it brought about. 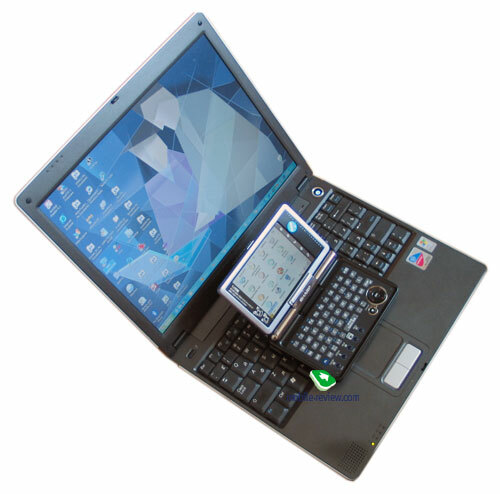 Today not many of you remember that Sharp started releasing keyboard PDAs based on Windows CE of Mobilon series, at that time Sharp took 17% of the market share. There were some experiments with the own operating system (Sharp SE-300), but they weren't successful, as their opportunities offered not much compared with the electronic equalizer. Linux PDA line is under the Zaurus sub-brand. You might get surprised to learn that the first Zaurus models emerged in late 1993 - the MI series, which had never got out of Japan. You'll be more surprised to know the early models were equipped with a built-in modem. Later Sharp used the Zaurus line to demonstrate achievements in display building. Below we have a look at more or less actual models and provide the code names. To say the truth, I'm not really sure those are real project names born in Sharp's R&D department, and not a kind of fantasy by enthusiasts. Nevertheless, these are nick names (see the list below) customary in the respective circle. Sharp Zaurus SL-A300. Announcement - June 2002, the model for Japan. 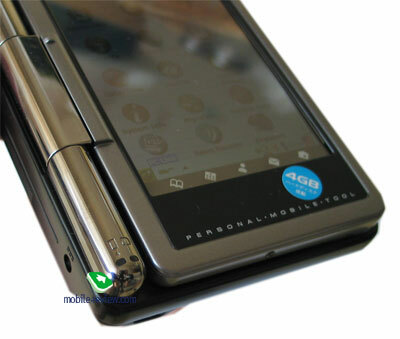 It's a mid price PDA without peculiar features, it attracted attention with its price and not big size. This is the simplest Zaurus model, that is why it opens the list. The smallest and lightest PDA with a color QVGA screen of that time. Collie. Sharp Zaurus SL-5000D/5500 (5000D - the version for developers, 5500 - the commercial version). Announcement - October 2001, the model was officially shipped outside Japan. 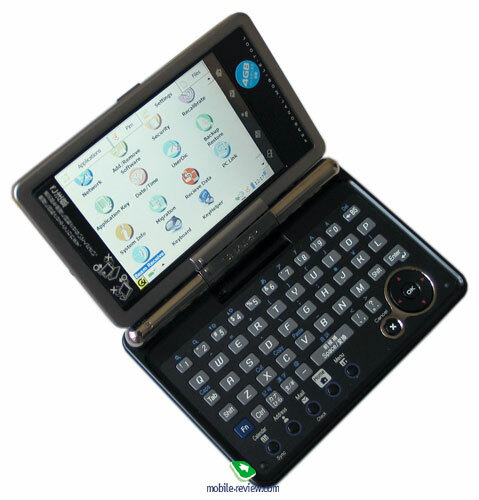 It features an innovative construction of a sliding QWERTY keyboard. In several year a similar construction is applied in HTC Blue Angel. 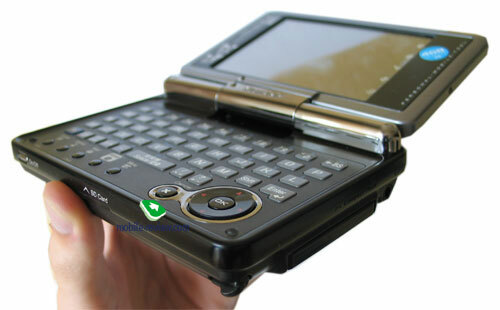 The sliding keyboard (however it's a side sliding keyboard) will become one of the main form-factors for communicators in 2006. Poodle. Sharp Zaurus SL-5600/B500 (B500 - the version for Japan, 5600 - the international version). Announcement - November 2002. It differs from the 5500 in new Intel XScale processor, there aren't any other key differences. Sharp Zaurus MI-E25DC. This model is in fact derivative from the Zaurus 5500/5600, but it has a built-in digital camera, the form-factor and basic specs remained the same. This is the first PDA with the built-in digital camera. A year later built-in cameras become a norm. Corgi. Sharp Zaurus SL-C700. Announcement - November 2002, this is the model for the Japanese market. 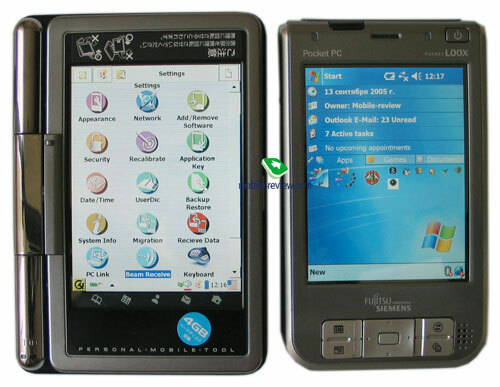 This PDA with a VGA screen made under the brand CG-Silicon technology has produced a calm revolution on the PDA market. The form factor was also new. I remember me giving an envy look at the owners of the Zaurus, the screen looked fantastic, and the keyboard implementation seemed perfect. More than a year passed when such screen appeared for Pocket PC, and an adequate work with the keyboard became possible with Windows Mobile 5.0 (and still nothing for Palm OS). This time again Sharp turned to be the leader. To say the truth, later the company was engaged in completing this model. So there was nothing brand new or revolutionary in further products. Shepherd/Husky. Sharp Zaurus SL-C750 and SL-C760 respectively. Announcement - May 2003, this is the model for the Japanese market. The models are almost identical to the SL-C700, according to the company the platform speed increased two times (XScale PXA255 processor instead of PXA250, larger memory), updated software. The C760 differs in larger flash memory size and higher capacity battery (1700 mAh against 950 mAh), thus bigger size and weight. Boxer. Sharp Zaurus SL-C860. Announcement - November 2003, this is the model for the Japanese market. There are no fundamental differences from the SL-C760. It works as an external drive via USB PC connection. This function became a norm for other PDAs only in 2005. Tosa. Sharp Zaurus SL-6000. Announcement - January 2004, it's the last model officially shipped outside Japan. The model follows traditions of the SL-5500/5600 and is packed in a similar slider form and equipped with a 4" VGA screen. It's the only PDA in the line with Wi-Fi an Bluetooth. This handheld was targeted at the US corporate segment. However it turned a failure (I wonder, which factor affected most, a relatively low popularity of Linux in the US or large size and heavy weight of the PDA?) and US Zaurus program was reduced. Spitz. Sharp Zaurus SL-3000. Announcement - October 2004. It's the analog of the SL-C860, but with built-in HDD, a mere 16 MB of internal flash memory. It' the first PDA with built-in HDD. Borzoi. Sharp Zaurus SL-3100. Announcement - June 2005. It got larger flash memory compared with the SL-3000. Sharp Zaurus SL-1000 (Akita) - a variation of the SL-3100 without HDD. That's for the Japanese technologies. 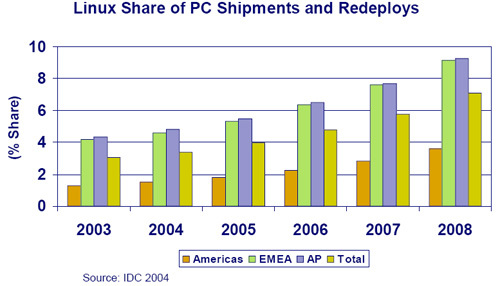 Despite of a scanty market share, we can't deny Sharp's merits to the PDA industry. The company hardly worries about its scanty market share. The devices should demonstrate technologies, which later are successfully sold by the company. 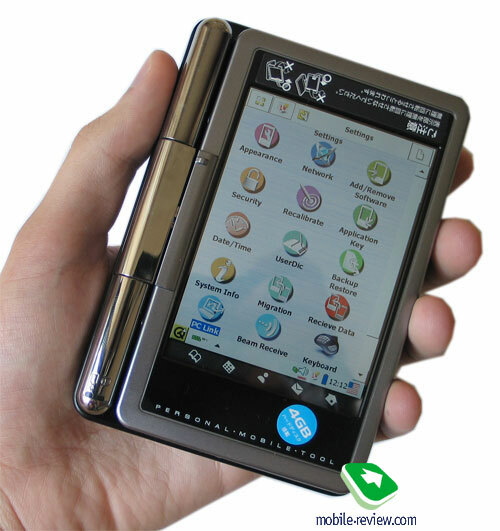 The PDA design hasn't been changed since the Zaurus SL-C700, but weight and size gained much because of built-in HDD and a higher capacity battery. When folded up the PDA looks like a tiny notebook, when you meet it for the first time, you automatically start looking for a mouse, a touchpad or something of the kind. In general, the design of the SL-C3100 can be compared with Tablet PC: its sensor screen can be revolved at 180 degrees (in one direction). 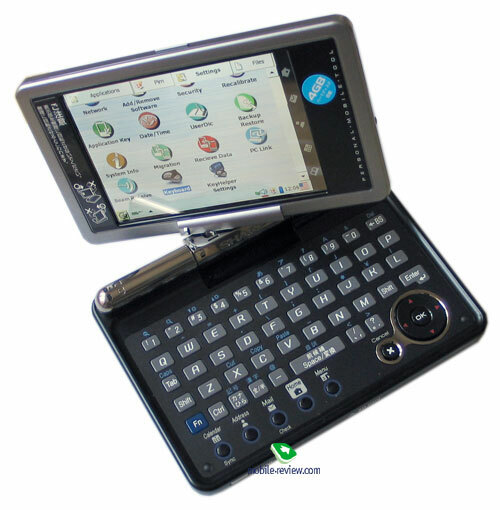 Following the revolving we see some metamorphosis happening to the device: from a keyboard mini notebook the device transforms into a PDA without the keyboard, and the screen picture changes orientation to portrait one. In this mode it's very comfortable to read books or work with applications, which do not require much text input. This PDA lies in hand like an ordinary Pocket PC. However, it's somewhat bigger, and the scrolling wheel partially compensates for its big size. Its hinge construction is safe, in both positions the screen is firmly fixed, so there is no backlash. The halves get smoothly rotated without extra efforts. The hinge construction is made of silver even plastic. The top part is made of dark grey glossy plastic, which attracts fingerprints. From other side, you touch this part rarely. The most part of the PDA is made of uneven black plastic, which is difficult to sully with fingerprints 9black color seems popular not only in Europe). As usual, we discuss the QWERTY-keyboard in details. Rectangular keys found good location, they do not mix with each other. Grey keys stand out by a millimeter from the surface, it's enough for a comfortable work and a good feedback. It's impossible to work with the keyboard using 8 fingers and 2 thumbs, only with 2 thumbs and holding the PDA in hands. The major advantage of the device is that you can work with the interface using the keyboard only, you don't need the stylus. Sharp models always featured best keyboard work, and new models got even better in this aspect (mainly because of larger size). In "notebook" mode the screen is at a small angle to the main part, so it provides comfortable work, when you hold the PDA with both hands. The keyboard doesn't have backlight, so there appear some problems in the dark. Well, let's fold the PDA with the screen up and get a PDA without the keyboard. What we see? There are no control buttons or a joystick under the screen; however application buttons are emulated by 5 sensor icons under the screen. At the bottom left of the front panel are battery level and HDD indicator. The left thumb comfortably rests on the wheel placed at the left side of the PDA. There is no wheel push function, for this purpose there are "OK" and "Cancel" buttons located nearby. Here we also see a miniUSB connector. At the opposite end is the connector for charging. The right side carries Power button and SD/MMC slot. At the bottom we find an infrared port. There are a headphones jack, a СА slot and a silo on the top. The back panel hides a battery compartment and a speaker of average sound volume. PC connection runs in 2 ways - an ordinary synchronization and USB drive mode, in result we have a handheld HDD with USB interface. The plastic stylus pen has average weight and comfortable size, it's good in use. As for the sound in the headphones, it proved very good. WM8731L digital to analog converter is applied, like in Apple iPod Mini. You can also buy an extra accessory, Sharp CE-RH2 remote control (its only weak point is the price). 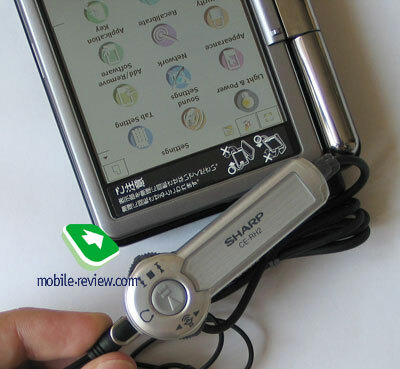 The remote control for new PDAs is a unique feature, which you won't find as an extra accessory, so we can add another plus to Sharp SL-C3100. This model is designed for the home market first of all, so we understand why there is no Wi-Fi and Bluetooth. These interfaces do not enjoy popularity in the country, where they have been using 3G communication for a long time. However the lack of these wireless interfaces is the main drawback of the model. To say the truth, it's possible to add Wi-Fi and Bluetooth using the expansion card, many cards already have necessary drivers, so there are no problems with the connection. USB interface offers capabilities of both USB drive and USB host. It's possible to plug USB trinkets, players, a mouse or a keyboard to the device. The screen features VGA resolution and 3.7" diagonal. 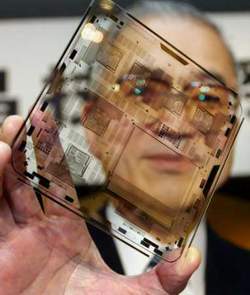 This is the very CG Silicon, which used to be revolutionary. Now it doesn't look somewhat special, it's like a should-be good screen. A weak point here is that there are just 6 backlight levels. It's uncomfortable to work in the dark with low backlight level (it's too bright). We'd take an extract from Toshiba e800 review to remind our readers what is CG Silicon. If we examine companies developing and promoting LCD technologies we will find Sharp among the leaders. The company obtains most patents in that sphere. In the beginning of 2003 there were over 500 patents, which accounted for 20% from the overall volume. The company has offered an LCD supporting 3D (Sharp has established the consortium of software developers and electronic producers to promote the technology). It is rumored that Sharp will release a billion colors LCD for the new Windows version! In other words no one should doubt the authority of Sharp concerning LCDs. Sharp has dubbed its technology for mobile devices CG Silicon (Continuous Grain Silicon). Together with the OLED (organic light emitting diodes) technology the CG Silicon represents next generation displays for mobiles. While OLED was initially designed for external displays of cell phones, the CG Silicon thrived a year ago with Sharp Zaurus C700 and further models the C750 and C760. In addition Sharp applies new type displays in other products: video cameras and mobile phones. But what's that outstanding and advantageous about the CG Silicon technology? The main idea is to integrate into "glass" the digital algorithm (LCD driver, Input/Output interface, power stabilizer). In result there are fewer elements, and the space is spared. The story began in the mid 90-s when two companies Sharp and Semiconductor Energy Laboratory built an 8-bit processor Z80 (released in 1976) into the glass substrate. To continue success companies decided to develop the technology, thus the CG Silicon technology appeared in 1997. In theory, it is possible to integrate almost everything into the "glass" (processor, memory, system algorithm etc. ), and the company claimed so in their press releases. In the ideal circumstances the new technology allows creating a "sheet computer" or "sheet TV". Well let's wait and see. Sheet computers do not to come soon, for now evident advantages of the CG Silicon are as follows. The continuous grain grid (in this case a display corresponds with a big grain) allows closely integrating control elements, but has by-effects. Firstly, the response time (electrons get through the grain grid faster than in analogues). Secondly, a surprisingly high resolution for small displays (pixel density). Thirdly, dynamic resolution change. That is, by the program switch from 640x480 to 320x240 due the continuous grain grid the physical resolution also gets changed (not just the picture stretches). Besides it consumes less power. In the same manner the color depth is changed with corresponding lower power consumption and longer battery life). In practice we failed to prove the fact, let's trust the company. The PDA has a removable Li-Ion 1800 mAh battery onboard. Relatively high battery capacity doesn't fully compensate for power consumption of the hard disk. MP3 playback lasts for 10-11 hours with the screen off, you can watch video for 2 hours with the highest backlight level. Typical time of battery life approaches to 6 hours, not longer. I'd say it's acceptable. The CPU is Intel XScale PXA270 working at maximum 416 MHz. Currently it's the latest processor, however its clock rate isn't the highest from available. They believed in the company that its productivity would be enough. This is true, in fact, there is almost no claims to the speed. The only "no" is the launch time of applications, which takes some seconds (but then the launched application shows high speeds). 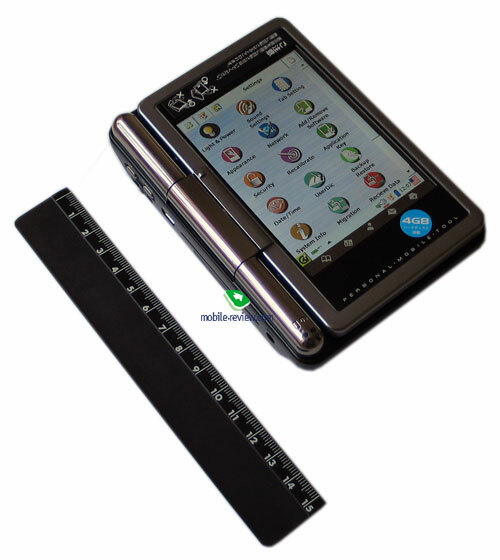 The same situation was with Palm LifeDrive PDA, which also has a built-in HDD. In all, the platform speed is acceptably fast. We haven't held any productivity tests. Firstly, there are no proper test packages; secondly, there are no devices to compare with. The model has a peculiar feature - its 4GB HDD. But the user can access just 2.31 GB (most space is occupied with dictionary bases). Operating system takes less than a half of RAM available. There will be a separate review dedicated to the software, so we won't speak about it here. 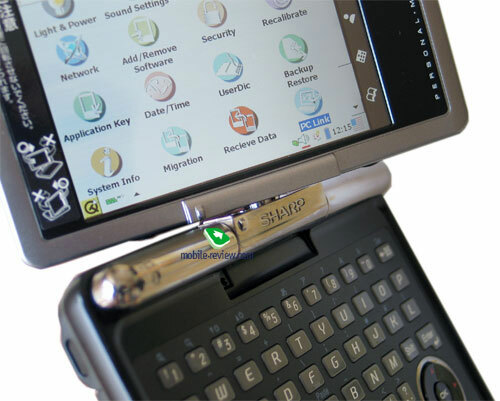 In its time Sharp SL-C700 changed the idea of the PDA screen and the work with the work with the hardware keyboard. Sharp SL-C3100 makes good impression, but this is an evolution model, and not revolution one. Compared with the SL-C700 the PDA got mainly quantitative changes - larger battery, new processor version, larger memory, larger dimensions and heavier weight. Taking into account the price of $ 900-1000 outside Japan ($600 in Japan), the lack of integrated Wi-Fi and Bluetooth (however you can buy a peripheral card) we have the device, which isn't mass one. It occupies its particular niche (it won't jump beyond 1% on the world market, but at home it has very strong position), which is very stable. There always be people who'll wish to buy a Linux PDA. These are Linux fans, owners of rare devices, those who like dig in software and hardware (install OpenBSD, try X Windows, for example, or compile own ROM). P.S. I've been writing this review (it's not yet completed, there will be a part dedicated to the software) along with reading an interesting book "Just for Fun", thanks to Linus Torvalds for the book and the operating system.